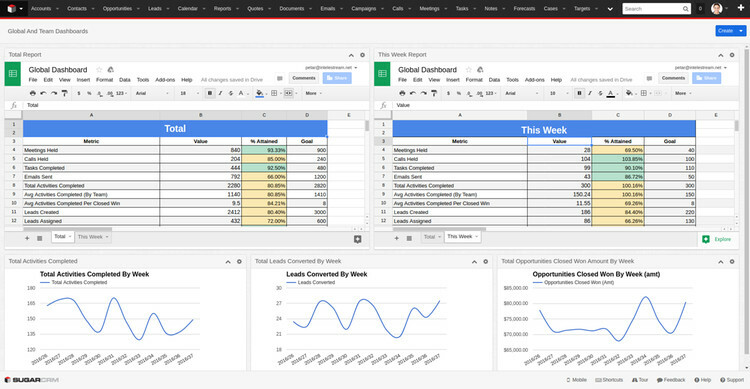 Google Sheets Business Intelligence SugarCRM, Inc.
Exports SugarCRM reports automatically to GoogleSheets. Modify, combine and manipulate exported data. Use the exported data with services not directly supported by SugarCRM. Export any existing rows-and-columns report from SugarCRM to Google Sheets, making it easy to create custom reports and share targeted data across your organization. Created with SugarCRM 's latest software updates in mind, Dashboard Deployer is compatible with Sugar 7 and 8. Ready to see the big picture? GSBI's Summation Reports give you a bird's eye view of your most vital business intelligence data. Easily add, combine and manipulate data from SugarCRM and other sources. 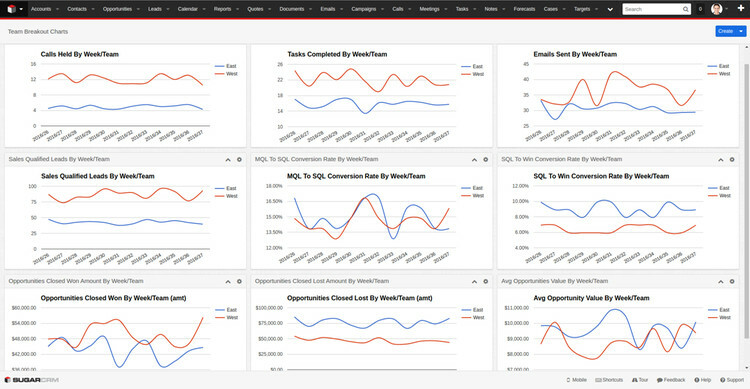 Capture any KPI you need by exporting a full range of data directly from the SugarCRM database. Create the truly comprehensive reports with custom SQL queries. (Available only for Enterprise or higher versions of SugarCRM.). 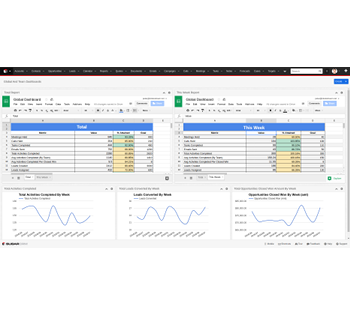 Connect your SugarCRM reports with a huge range of Google Sheets-compatible tools. Combine your data with Facebook Marketing, Google Analytics, and dozens of other business intelligence tools. Get up and running with GSBI in less than 20 minutes. Export existing reports in minutes, and quickly create new custom reports. Want total control over your report settings? Decide everything from how often reports are run to which team members have access to specific content.